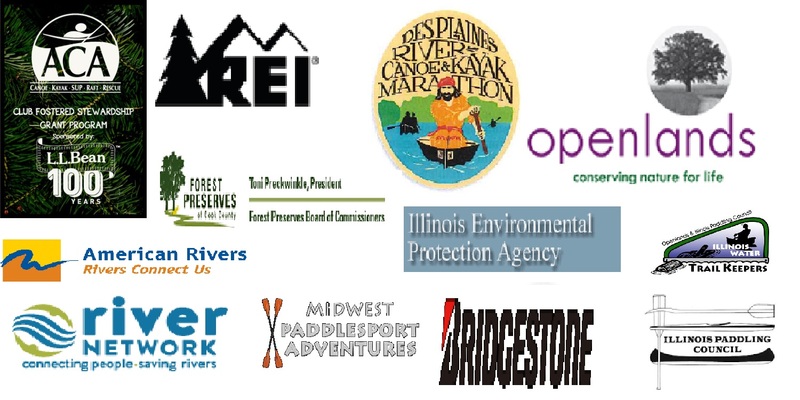 The Illinois Water TrailKeepers provides a corps of stewards on Illinois Paddle-able Waterways. Operating much like ‘adopt a highway’ our stewards adopt a body of water. A Trail Steward takes the responsibility for the body of water, and recruits Reach Stewards for predetermined sections of the body of water. Each Body of water is unique, and it’s stewardship needs are different. We empower our Water TraiKeepers to address the specific stewardship needs of their adopted body of water. Illinois Water TrailKeepers currently monitor and maintain seven water trails in 12 counties in Illinois totaling nearly 410 river miles. To be eligible for adoption, a body of water needs safe, legal access as recognized by the local authorities. Add your logo to the list! 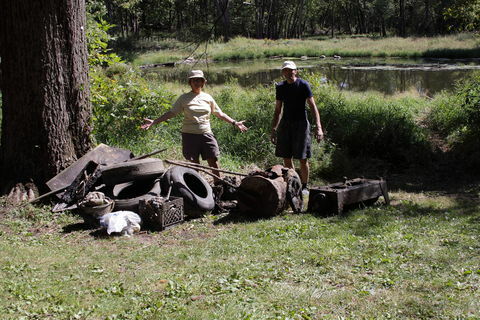 Please consider sponsoring the Water Trailkeepers Program. Contact Program Manager Tom Eckels.